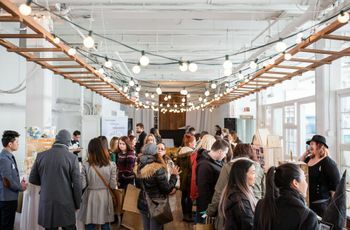 29 Can’t Miss Ontario Wedding Shows in 2019 | Wedding Ideas ARE YOU A VENDOR? Forget about flipping through wedding magazines and watching Rich Bride, Poor Bride reruns - get your inspo IRL at Ontario wedding shows in winter-spring 2019. 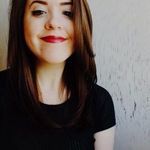 Scrolling through Pinterest is a great way to start gathering wedding inspo, but you’re going to need to leave your screen behind at some point - that’s where Ontario wedding shows in 2019 winter-spring come into play. There are a few major exhibitions on tap that’ll help get your creative juices flowing and let you meet wedding vendors face-to-face in one fell swoop. Here are the Ontario wedding shows in 2019 winter-spring you don’t want to miss. The Ring has put together nine unique Ontario wedding shows in early 2019 in cities not far from Toronto. Each event will showcase local vendors and give couples the opportunity to meet with them IRL to discuss their wedding dreams. You can also look forward to big prizes (including a $1,000 online shopping spree). Admission is free if you register online or $5 at the door. The Lavish Dulhan Wedding Show will also kick off the 2019 Ontario wedding show season with a South Asian-geared expo at the Liberty Grand Entertainment Complex. 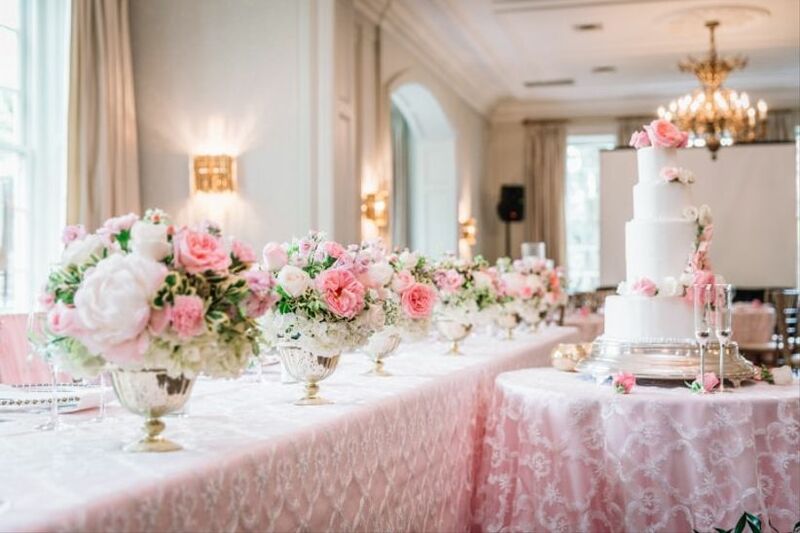 The event will bring in a host of wedding professionals, from cake designers to videographers, making it a one-stop shop for your big day. There will also be fashion shows, complimentary makeovers, experiential areas, food samples, and a grooms lounge. Tickets are $25-$50 dollars but are well worth the investment. Next up is the much-loved Canada’s Bridal Show. Founded in 1984, this convention has been showcasing the wedding pros of Canada’s bridal industry for over 30 years and is one of the most renowned wedding exhibitions in the country. The event will bring hundreds of expert wedding vendors and planners to the Metro Toronto Convention Centre for a three-day stint. This year’s list of exhibitors includes Elite Beauty, Heavenly Creation Florist and Kleinfeld Hudson’s Bay (just to name a few). Tickets cost a mere $20. Head to London’s Metroland Media Agriplex on the weekend of the 12th and you’ll see a bevy of bridal (and wedding) goodies on display. Attendees will spend their day(s) checking out dreamy dresses, chatting with local photographers, scoping out caterers and winning prizes (sounds pretty great, huh?). Tickets go for $12 apiece. Take a trip to St. Catherines on the weekend of the 12th and you’ll find the Niagara Spring Wedding Show in full swing. The event is happening at the Holiday Inn Parkway Hotel and you’ll be able to chat with bakers, bridalwear specialists, DJs and more who work in the Niagara region. There will also be fashion shows at 1:30 and 3:30 that are sure to give you a bit of wedding dress inspo. Tickets are $12 each. Make your way to The Carlu in downtown Toronto on January 13th and you’ll be immersed in a real wedding wonderland. 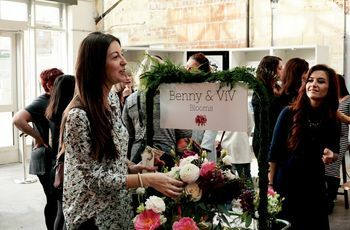 Over 100 elite florists, cake designers, stationers and other wedding pros will be showing their stuff, so you’re bound to stumble upon something you love. Keep in mind that this show is more like a party than an exhibition so you’ll have more time to mix and mingle with the best in the biz. Tickets cost $60 if you purchase before January 7, and $75 from then onward. Missed the fall Must Be Kismet show way back in September? NBD, another one is right around the corner! The event will take over Mississauga’s International Centre and give you the chance to see the work of the GTA’s top South Asian wedding vendors. There will be fashion shows, panels and displays that may give you some inspo for your wedding theme, colour scheme and more. Tickets cost $10 for general admission or $15 if you want to see a fashion show, too. Call Cobourg home? Head to the Cobourg Lions Community Centre from 12 to 4 to meet with local vendors for all your wedding needs, enjoy food and wine tasting and for the chance to win lots of door prizes. Brides are free when you pre-register and guests are $5 at the door. Another Eastern Ontario wedding show will take place on the 13th in Kingston at St Lawerence College from 11 to 3. Not only will you get a chance to meet local wedding vendors, but you can buy tickets to participate in a cake dig. You’ll have 30 seconds to uncover prizes hidden within a 4 foot wedding cake. Admission is free and you’ll get free swag bags and tasty mocktails, too. 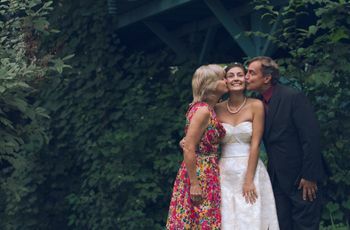 Getting married in the Kawarthas? Then this wedding show at Celebrations in Lindsay is a must if you’re looking to hire local talent for your event. From venues and catering to outdoor wedding suppliers (think tents and potties to go), you can assemble your dream team here. Tickets are just $5 at the door. This is the biggest wedding show in the Hamilton-Halton region, so if you’re in the area, it’s definitely worth stopping by. 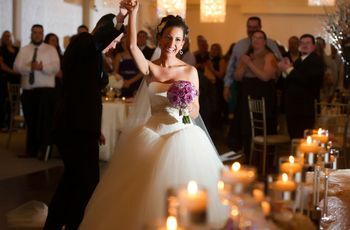 It takes place at the FirstOntario Centre and will get you in touch with all the pros you’ll need on your team to turn all your wedding dreams into reality. There will also be two fashion shows (at 1:30 and 3:30), offering drop dead gorgeous options for both men and women. Tickets go for $12. If you’re free the weekend of the 19th, mark the Modern Bride Wedding Show on your calendar. As with years past, it’ll take place at the International Centre in Mississauga and bring out the best in the business. But wait, there’s more! You’ll also be treated to tastings, live entertainment, fashion shows, hair and makeup trials, photo booth sessions, mini consultations and gift bags (giving you plenty of bang for your buck). Admission only costs $10 online or $15 when you pay at the door. On the last Sunday of the month, The Wedding Show will be transforming the Hyatt Regency’s ballroom into a wedding mecca. Along with the opportunity to meet with wedding pros, you’ll get live entertainment, hair and makeup trials, tastings, consultations, contests, swag bags and more. There are also a few workshops - like Wedding Planning 101 and Decor & Floral Trends - that you and your partner can take part in if you’re feeling a little lost on your wedding journey. Tickets are free, but you’ll have to pony up $10 if you want to attend a workshop. If you’re planning a wedding in Peterborough, this is the Ontario wedding show for you. Head to the Peterborough Memorial centre from 11 to 4 to browse wedding goods from over 100 local vendors. There’s also a fashion show and door prizes. Tickets are $10 at the door. Start your February off right by hitting up the National Bridal Show at the Enercare Centre. Its list of exhibitors is yet to be released, but you can expect to see photographers, entertainers, limousine companies, planners and everything in between. As with years past, there will also be a massive bridal gown sale with more than 250 wedding dresses discounted at 50% off (perfect for bargain hunters). Brides-to-be get free entry while other guests will have to pay $18 at the door (or $15, if they pre-order tickets before January 1st). If you’re hosting your wedding in Bowmanville, then you can network with the region’s event experts at Garnet B. Rickard Recreation Complex from 11 to 3. Plus, there will be refreshments, discounts, live music, a fashion show, grand prize draw and swag bags for the first 100 guests. Tickets are free in advance at participating vendors or $15 at the door. Toronto’s The Wedding Co. will be filling Artscape Wychwood Barns with bridal wear, bouquets and beautiful decor for its fifth year in a row this February. If rustic chic goodies and artisan creations are going to be staples in your upcoming celebration, attending this market is an absolute must. Last year’s show boasted new age boho decor, metallic cakes and more all crafted by Toronto’s bridal industry members. Early bird tickets cost $15 and will be available until January 1st, after that they’ll be $20. Thinking of opting for a destination wedding? This Toronto wedding show needs to be on your radar. It will be happening at C Banquets in Mississauga on the last Sunday in February. What can you expect? Free consultations with travel and wedding pros, snacks and a one-hour presentation all about planning your dream destination wedding. Admission is $10 online or $15 at the door. Also at the end of February, The Vaughan Wedding Expo will take place at the Riviera Events & Convention Centre. Full details have yet to be released, but you can expect over 70 vendors, live performances, prizes and more. Tickets are free. If you call Ottawa home (or plan on getting hitched there), hitting this show is a must. The event takes over the EY Centre, transforming it into a wedding paradise for two full days. It’ll host a ton of fantastic vendors, from photography pros to top notch stationers. Other things to look forward too? A bevy of contests and draws, pop-up bridal boutiques, a social media lounge and plenty of tastings and samples. Tickets go for $15 at the door. Closing out the schedule of Ontario wedding shows in Winter-Spring 2019, the Living Arts Centre in Mississauga will be packed with brides-to-be and wedding pros for the Ultimate Bridal Show. The exhibition will host a bevy of top-notch vendors, including Fairytales Creations and Catering, C Banquets and New Age Sound & Lighting. There will also be a fashion show and tons of giveaways and contests happening throughout the day. You’ll need to register online, but entry is 100% free for brides and grooms. Feature image courtesy of L’Amour Weddings.